Where horse crazy kids go to camp! 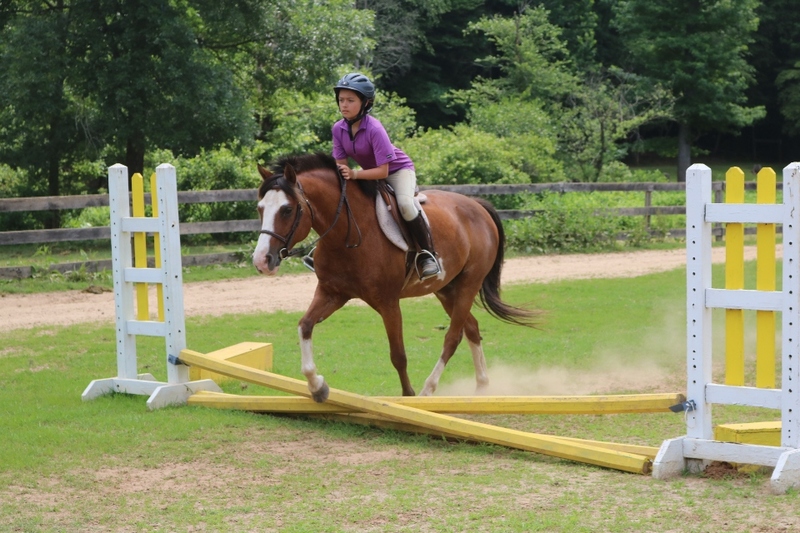 The Equestrian Camp is a full-day Hunter/Jumper style program for girls who LOVE horses. All levels are welcome, from girls who have never been on a horse to those that have been riding their entire lives. 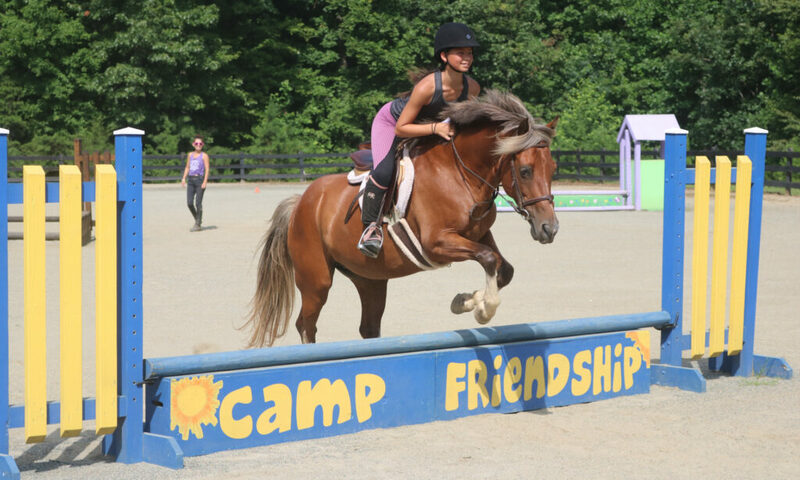 Camp Friendship strongly believes that when developing the equestrians of tomorrow, safe horsemanship and care of the animal are just as important to teach as mounted skills. 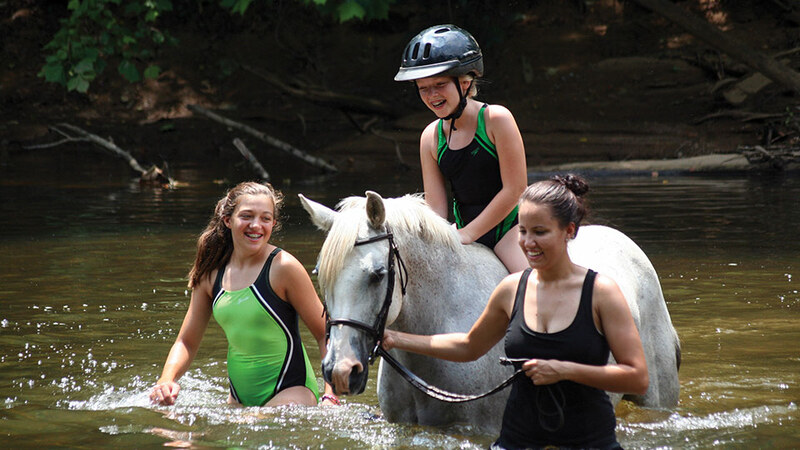 We pride ourselves in providing a fun, safe and well-rounded horse camp experience where girls can immerse themselves in the moment and enjoy themselves in a non-competitive environment. 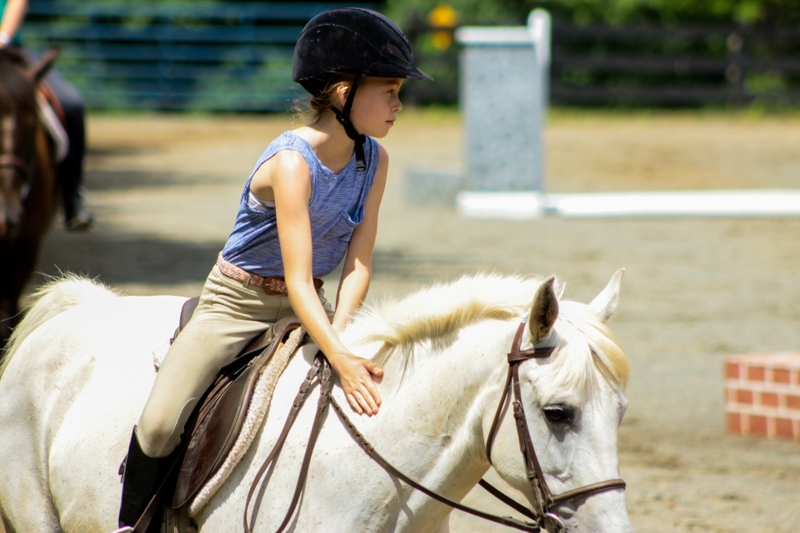 Riding campers ride twice daily between ring lessons which focus on the fundamentals of horse and rider, and afternoon fun lessons which encourage relaxed enjoyment of their equine friends. 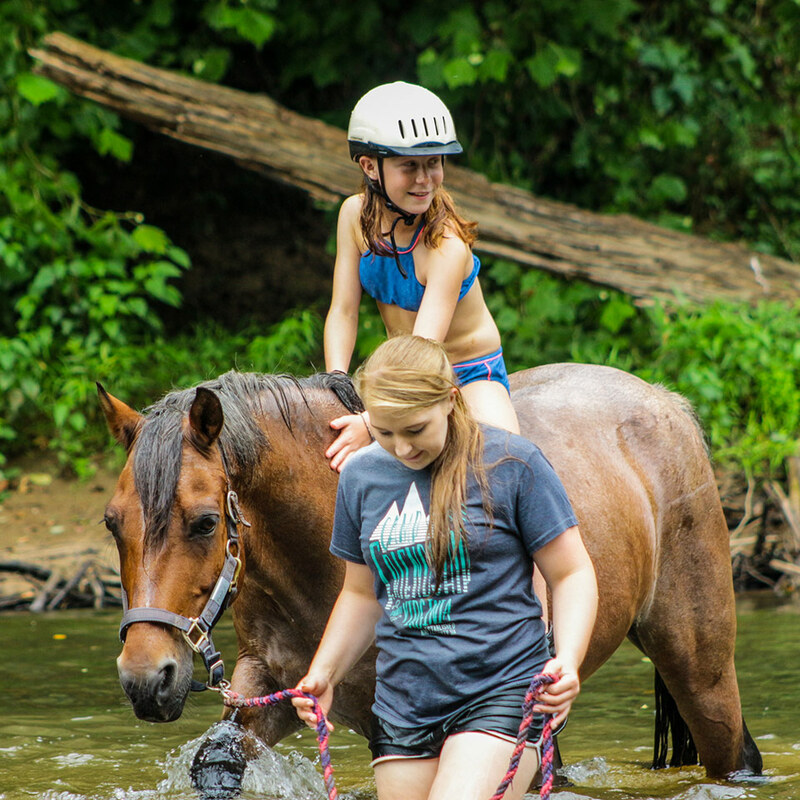 Fun lessons include trail rides, playing games on horseback, and even taking some of our water-loving horses to the river! No horse crazy girl’s day would be complete without rolling up their sleeves and getting a little dirty! Ample time for grooming, tacking, untacking and barn chores are included in the day. 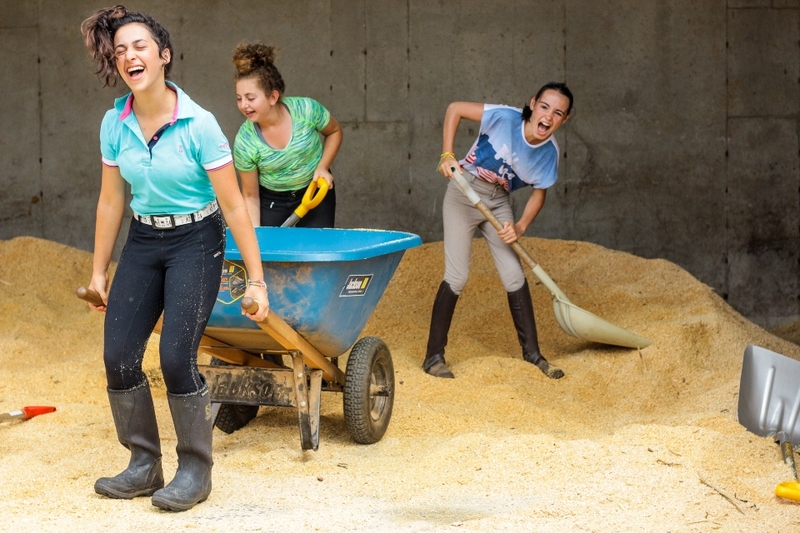 Our campers take great pride in caring for their horses and ponies. For girls who want to be with horses ALL DAY LONG! 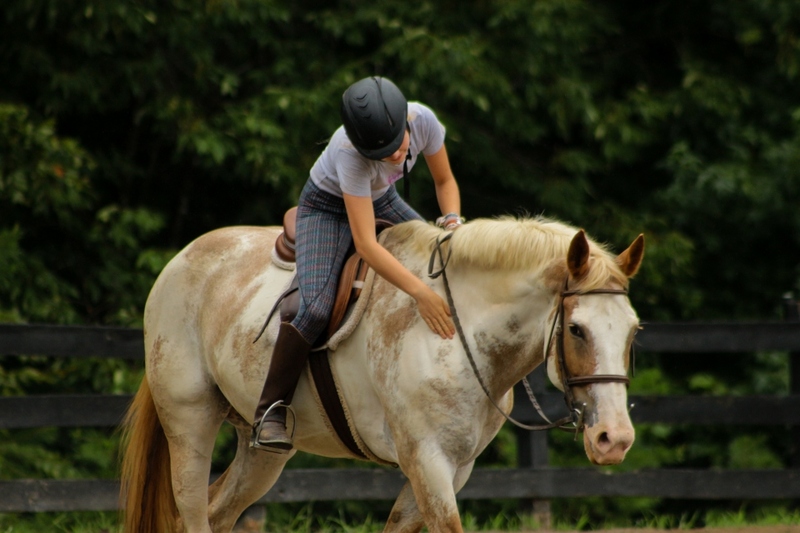 Mounted and unmounted lessons focus on mastery of fundamentals and the fun of riding, riding, riding. For campers balancing riding with other activities. Ring lessons, trail rides, horse care, and our famous river ride are all in a half-day’s work. For campers who choose riding as one of five camp activities. Campers learn the basics in ring lessons before progressing to trail and river rides. 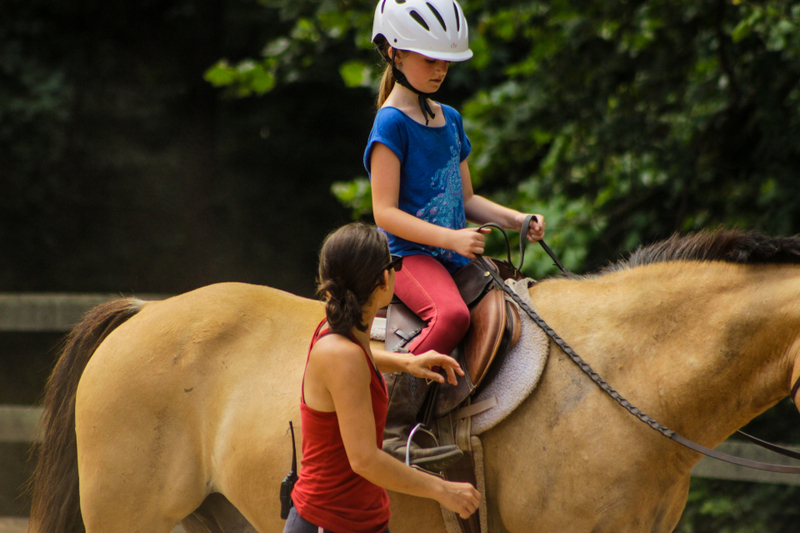 Campers are matched with a horse or pony for their entire session allowing them to connect and progress together. All year long, our barn is home to more than 80 wonderful, furry friends of many sizes, breeds, and colors. Chosen for their temperament and versatility, they are trained specifically for our camp programs and maintained under Skye’s watchful eye. Equestrian campers get to eat, sleep, and breathe horses! Girls live in the Equestrian Village located directly across from the barn. 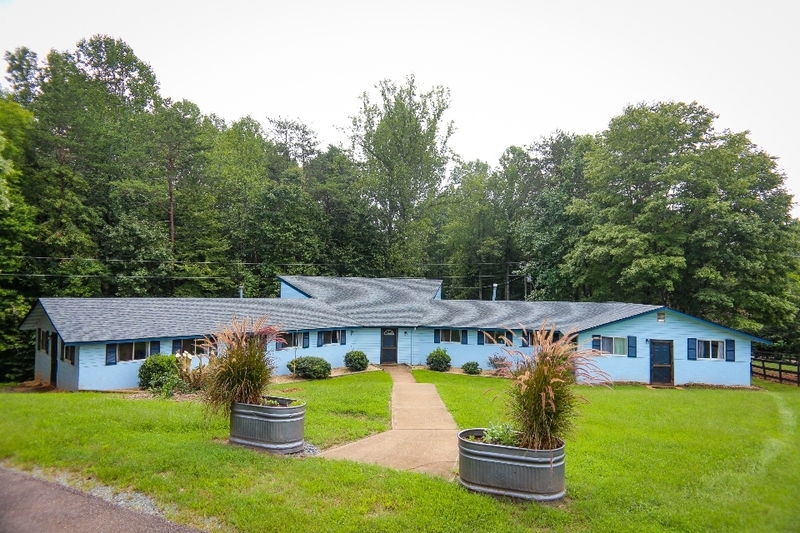 Included is a large dormitory style lodge as well as an adjacent cabin for our oldest campers. Both the lodge and cabin are equipped with bunk beds, en suite bathrooms and electricity. Our counselors live with campers, maintaining a staff to camper ratio of 1:5. 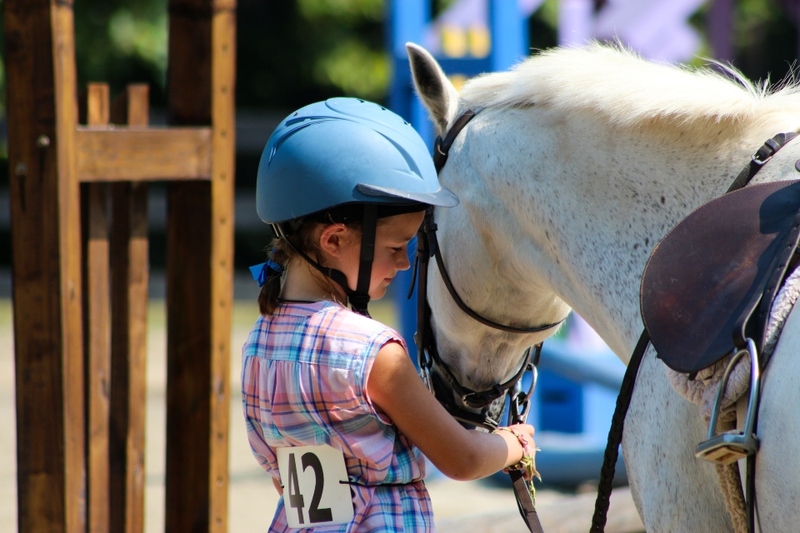 Campers are housed by age, but are placed in riding groups based on experience and ability. 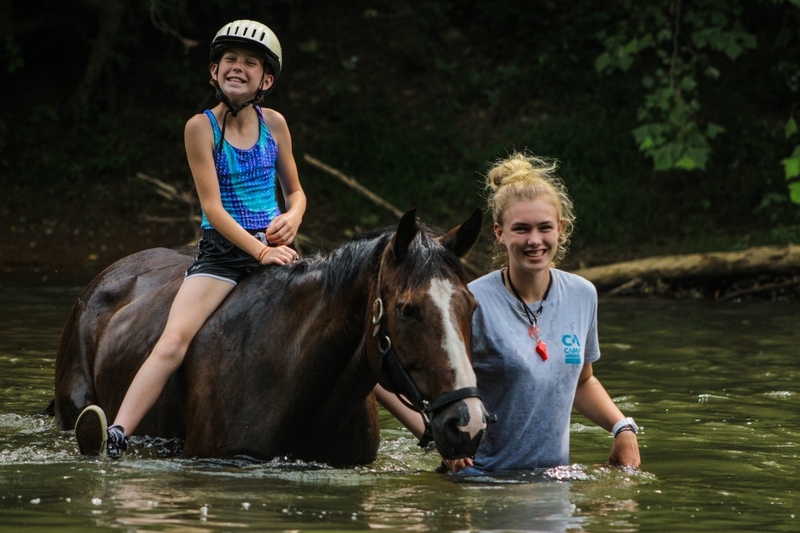 Equestrian Camp has its own Village Supervisor who oversees the village and serves as a direct point of contact for parents. The Village Supervisor is in constant communication with cabin counselors and the camp directors. 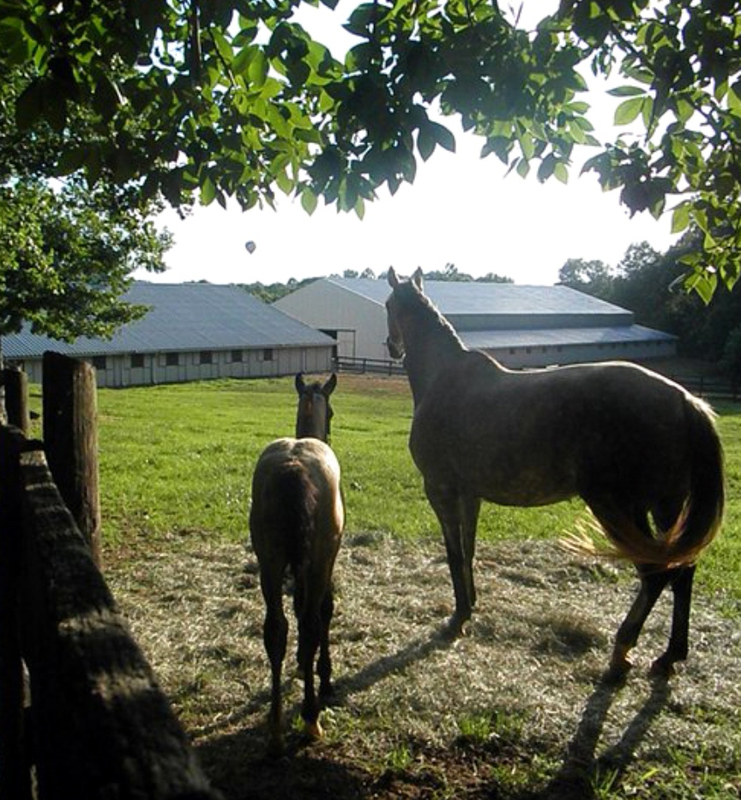 The Equestrian Center is run year-round by a small team of equestrian professionals. 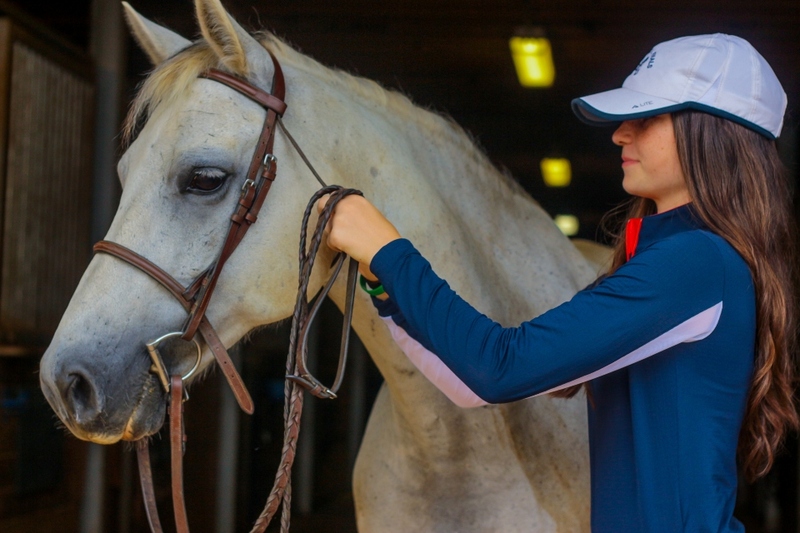 Our summer staff are recruited from equestrian teams and colleges from all over the United States and abroad. These counselors are chosen not only for their riding expertise but also for their love of teaching children. All counselors are trained in safety procedures and instructional techniques specific to our programs before camp begins each summer. 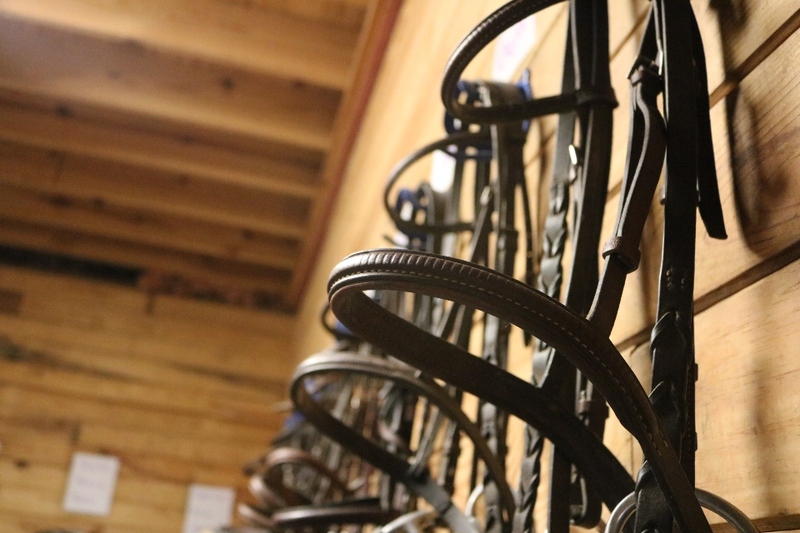 Our spacious facilities meet the needs of all riding levels. The Center includes an indoor arena, show ring, and 3 additional outdoor rings varying in size. This is all surrounded by scenic fields, paddocks, and miles of beautiful wooded riding trails. 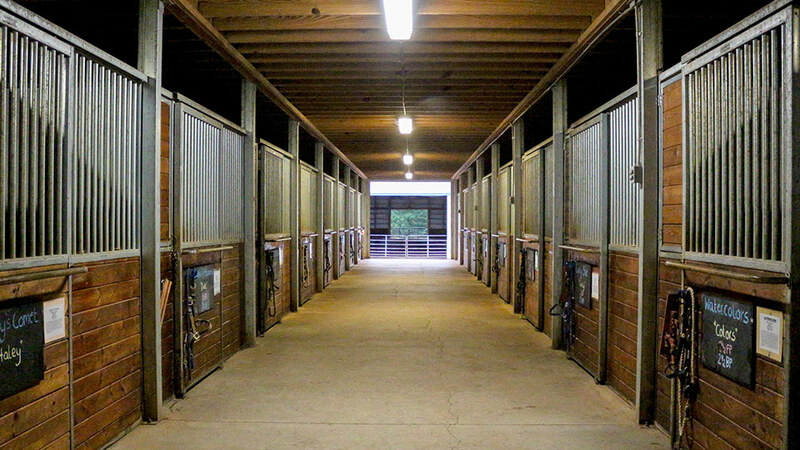 Over 80 horses are stabled in our state-of-the-art barn at Camp Friendship. 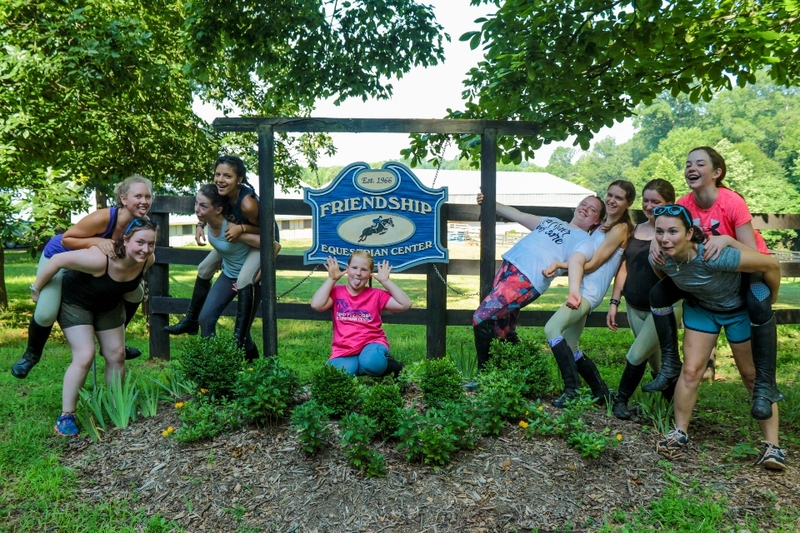 Equestrian campers are very much a part of the diverse and welcoming Camp Friendship community. They eat their meals at the Dining Hall with other campers, swim in the pool and lake, as well as participate in camp wide events such as campfires and dances. May I bring my own horse? Nope, Camp Friendship doesn’t have room to accommodate any outside horses. 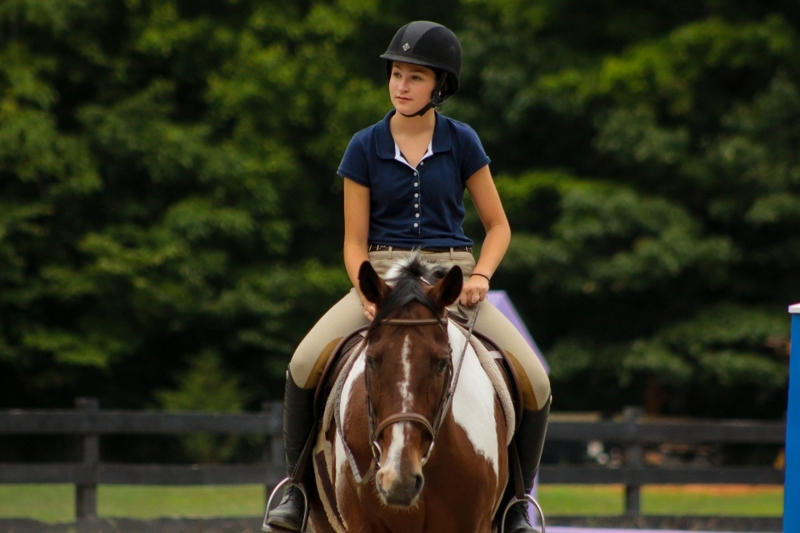 Our Equestrian Programs are all English riding and Hunter/Jumper in style, and riders of all levels are welcome. Do the horses get time to relax? Absolutely! While Equestrian campers eat lunch and enjoy Free Swim at the lake or pool, horses have “lights out” at the barn so they have a chance to take a nap or munch on hay in the afternoon. Our horses and ponies are turned out in fields and paddocks at night to graze and hang out with the herd. They also have the weekends free from riding. How high do we jump at camp? 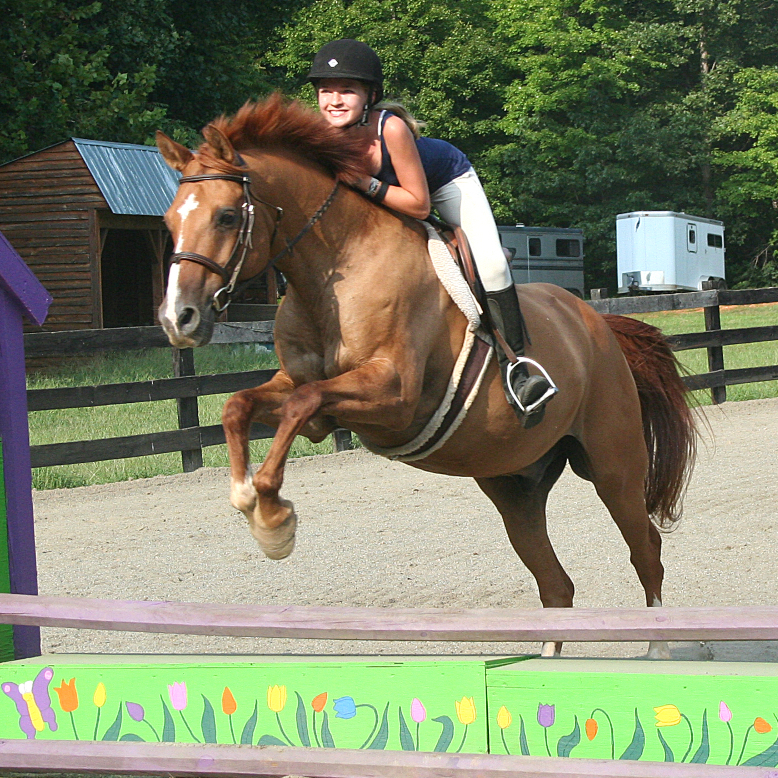 The most advanced lessons typically do not jump higher than 2’6”. 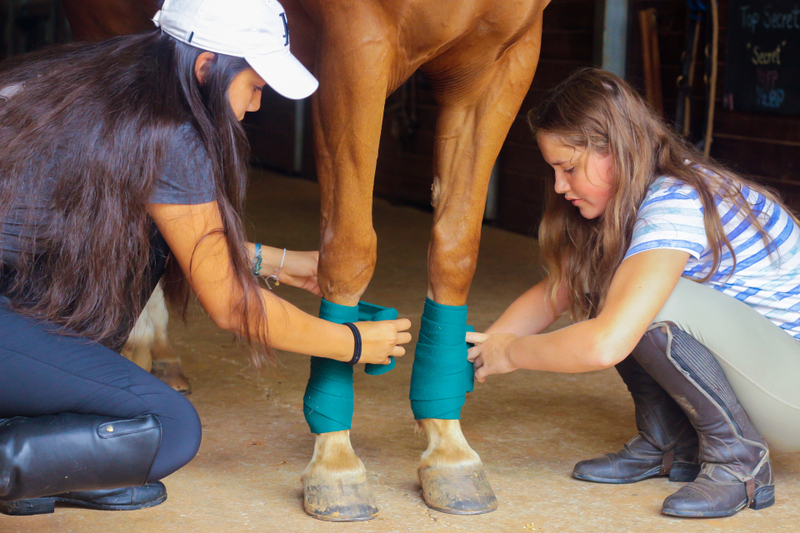 Although many of our campers have jumped higher at home, it is important to preserve the horses’ legs from hard landings since they are ridden every day. 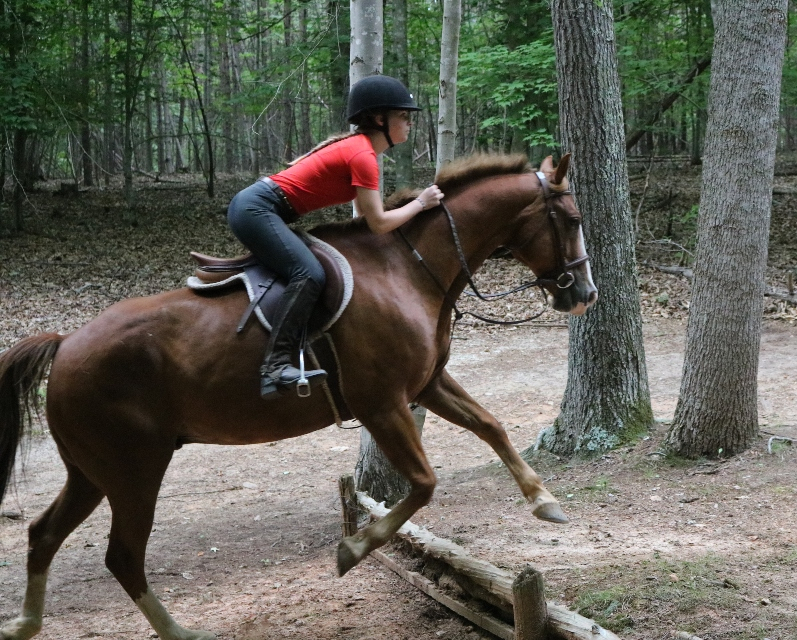 Additionally, since campers are generally here for one or two weeks at a time, it is very important that they work through basic fundamentals first, since they are riding horses that are new to them. 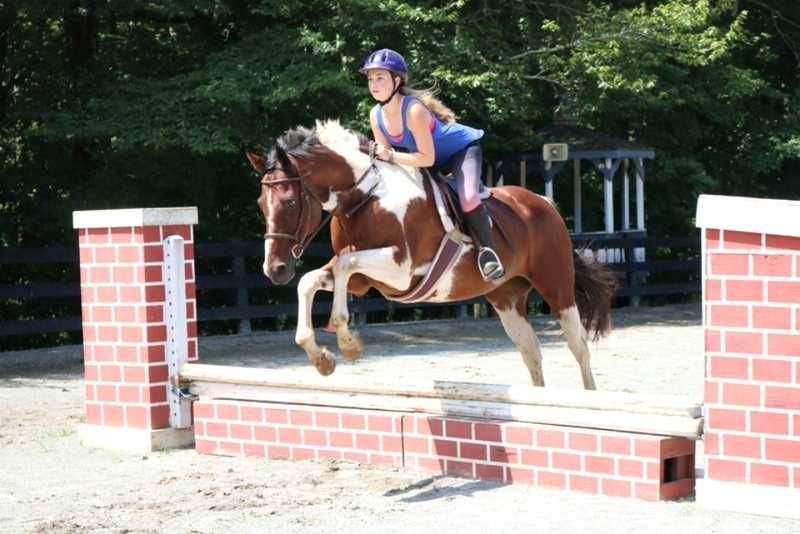 We do not believe that the height of the jump at all determines the level of the rider. How do you assign riding groups? When filling out camper paperwork, a riding questionnaire is included to give us prior knowledge of their current riding level and experiences. 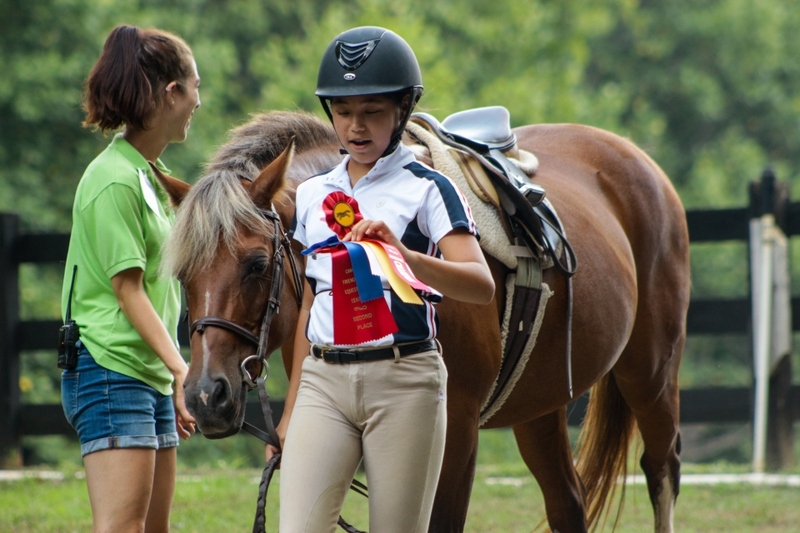 In addition to reading these thoroughly, the Equestrian Director does a brief evaluation with each camper upon arrival where they are given the opportunity to share in their own words their past riding experience and what they want to gain from their riding experience at camp. They are then evaluated briefly on a lunge line. This is simply so that we can see their physical size on a horse and their basic fundamentals – how they use their legs, hands and seat so that we can choose the best match for them. 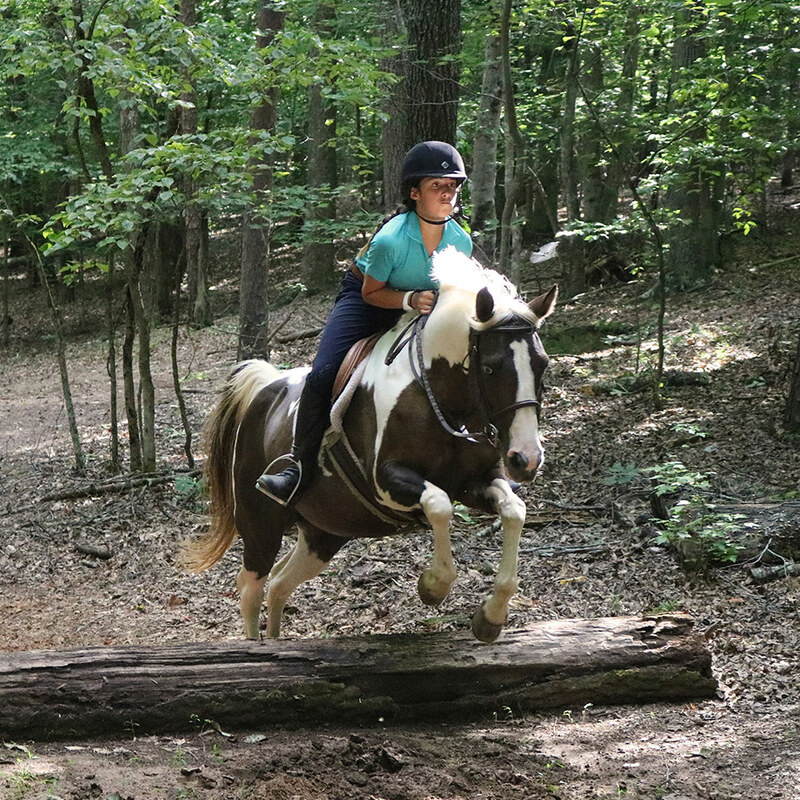 Campers are put into riding groups based on their current level so that the entire group can progress together. How do you assign horses? Each camper will complete a brief verbal and riding evaluation on the first day of camp. Campers are then matched with horses based on size, ability and personality. Once a horse is assigned, campers are responsible for grooming, tacking and cleaning stalls to ensure their horse is healthy, safe and comfortable. There’s no such thing as rain at camp – only liquid sunshine! 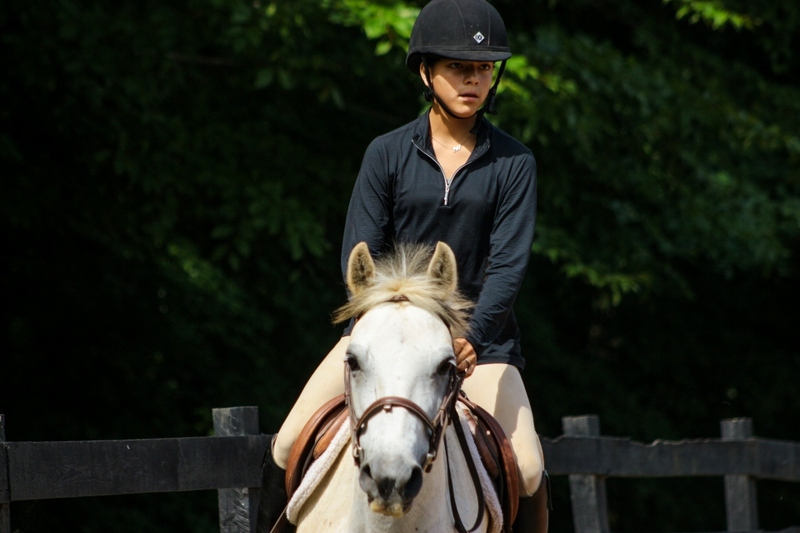 Many equestrian programs can continue in the rain, but riding will be adjusted to an alternative activity if there’s heavy rain or a thunderstorm. Afternoon thunderstorms are a great time to challenge your counselors to a game of Horse-Opoly, finish that friendship bracelet you started or participate in a horse-less horse show with other campers! What should I wear for riding in the river? Unlike other riding that requires long pants, a bathing suit and closed toe/heel shoes will do! Crocs won’t work because of the open heel, but old sneakers are perfect. We provide ASTM approved helmets when splashing around with our water-loving horses so yours doesn’t get wet! May I bring my own tack? Nope. Camp horses have their own tack that is fit specifically to them, so please don’t bring your own. We also have plenty of grooming supplies and do not allow outside supplies to to used on camp horses. Do campers ride the same horse every day? 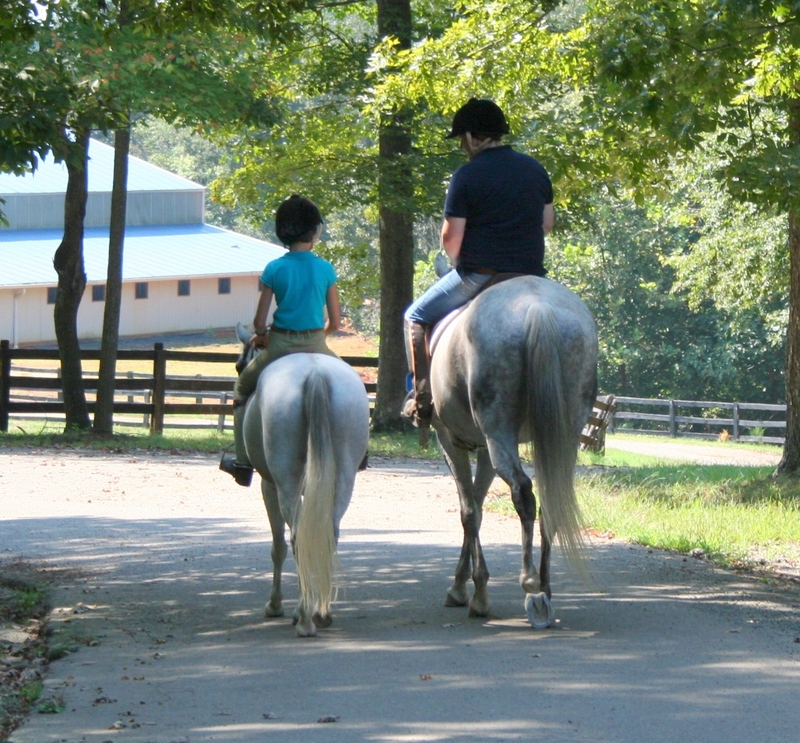 Yes, campers do stay with their horse or pony for the entire session to allow them to progress together daily. Since they are animals, if for any reason they were to be unrideable or unsuitable for the lesson objective, we would select another horse appropriate to substitute. We have a large number of horses so that they are all allowed plenty of rest time and so that there are always extra horses available to meet any needs necessary. If you just can’t wait until summer to see your four-legged friends, join us for Spring Break Riding Camps in April! Camp Friendship horses. Next best thing to a unicorn.